Since their reunion SEPTICFLESH have established themselves as a leading force of symphonic Dark Metal with their critically acclaimed masterpieces “Communion” (2008) and “The Great Mass” (2011). Yet the Greeks already won a dedicated and strong fan-base in their first incarnation as SEPTIC FLESH. Produced by former ROTTING CHRIST keyboardist and NEKROMANTIA founder Magus Wampyr Daoloth, their debut full-length “Mystic Places of Dawn” was released in 1994 and soon acquired cult status. All trademark elements of SEPTICFLESH are already present such as their singing guitar sound and even classical influences. 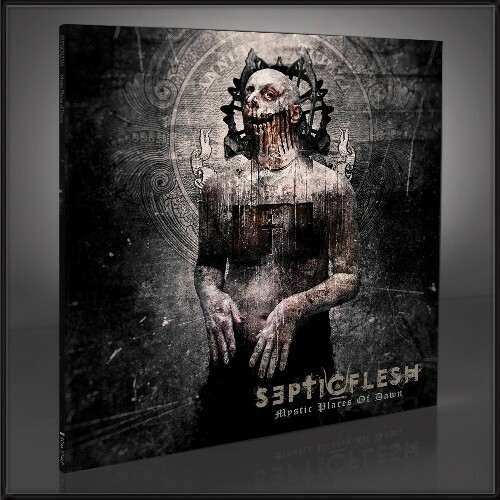 With interest in SEPTICFLESH surging to new heights following the release of “The Great Mass”, their cult beginnings with “Mystic Places of Dawn” and all songs of 1991’s “Temple of the Lost Race” EP added as bonus tracks will now be available anew! A must have for all fans!